Fill out the below form and we’ll get back to you within one business day with a digital proof of your design. You’ll have the opportunity to request changes or make adjustments until you’re happy. For pieces larger than 22-inches on any side, please contact us before ordering to ensure the best pricing and accurate project completion dates. For quantities greater than 1,000 pieces or larger than 22-inches on any side, please contact us before ordering to ensure the best pricing and accurate project completion dates. For projects under $25, a $10 setup fee applies per design. Don't Worry, you can change your color anytime before cutting. 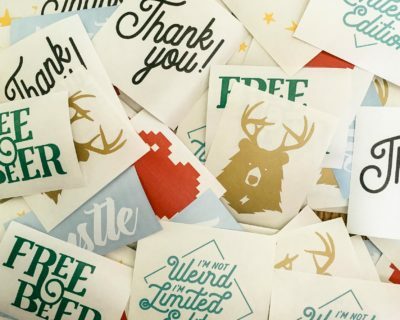 Don't Worry, you can change your vinyl type anytime before cutting. Accepted file types: png, psd, ai, eps, jpg, gif, pdf. Once uploaded, we'll verify that your design is ready to be cut and reach out within one business day with a digital proof. Don't quite have your file ready? No problem. Simply email your design to design@grizzlydecals.com, including your order number, when you're ready. Need help with your design? Check out our design tips and specifications here. Fill out the form on this page. It’ll give us all of the necessary details to get started on your project. We’ll look everything over and send you a digital proof within one business day. Check out the proof then request changes or make adjustments until you’re happy. We won’t cut anything until you give us the signal. Once approved, we’ll get your decals cut and shipped within a week. Easy peasy. We want to make sure that you’re completely happy with your design before we even start production and so we won’t send anything to cut until you give us approval. You can cancel your order anytime before we send your design to cut. For information about our design specifications, click here. 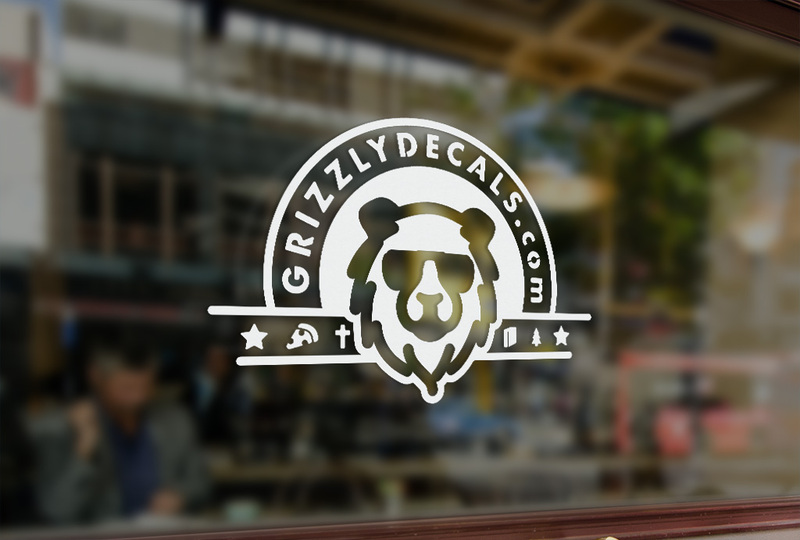 If you want some help or need a totally custom design, reach out to design@grizzlydecals.com any time! Along with changes and alterations to your design, you can change your decal color during the proofing step. If you have a specific color request, please reach out to us before ordering and we’ll see about getting a close match!